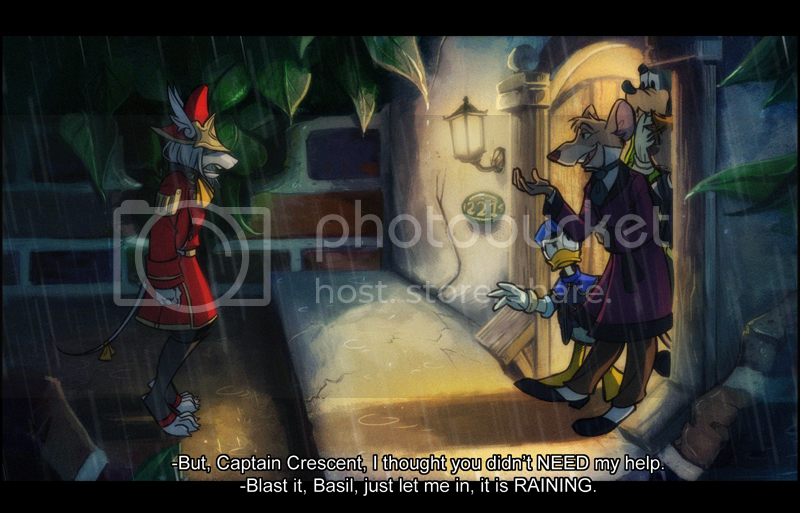 If there were a Great Mouse Detective world in any future Kingdom Hearts games, I elect Freya to be a cameo and have to deal with Basil. She would be the Lestrade to his Sherlock. Anyroad, I started this piece a LONG TIME AGO and I was feeling better this evening after days and days of vomitting so I decided to just pick it up and finish it off. (I actually haven't drawn anything in the past week so...this makes me feel a lot better). Hopefully this'll be the end of the vertigo and I'll get to workin on stuff tomorrow. Thanks!